It was less than a year ago that Intel's Nehalem-based Core i7 CPUs launched, and while its architecture was a revolutionary change, it was priced out of reach for many. However, this was always the plan for Intel, and a cheaper Nehalem-architecture CPU was always planned to fill the gap between LGA775 Core 2 and LGA1366 Core i7. Lynnfield is that CPU, and such has been eagerly anticipated by anyone who knows anything about CPUs. We've set this article out to deconstruct everything from what Lynnfield is and where it fits in the market, to what's right around the corner, to the in-depth look at what makes this tock tick. 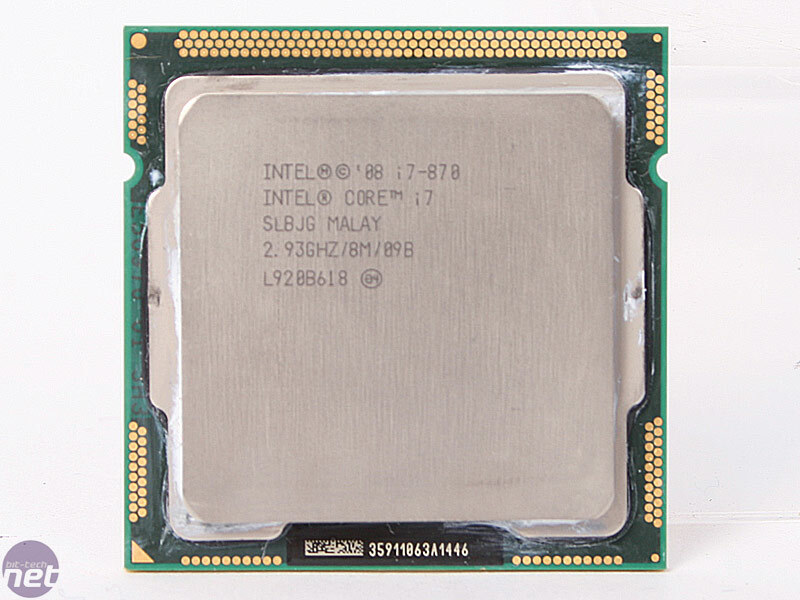 "Lynnfield" is a codename for a family of new CPUs that exist below the LGA1366 socket Core i7-900 series, but still above older LGA775 Core 2 processors. The Lynnfield family includes products branded both Core i5 and Core i7, with all the CPUs fitting into the new LGA1156 socket. 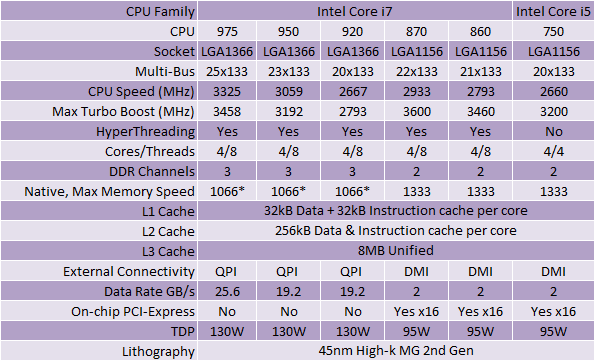 As our Core i5 and Core i7 Lynnfield review details, the two ranges of Lynnfield CPU are separated by whether or not they support Hyper-Threading. We ask why this is on the is Hyper-Threading worth it? page of that article. 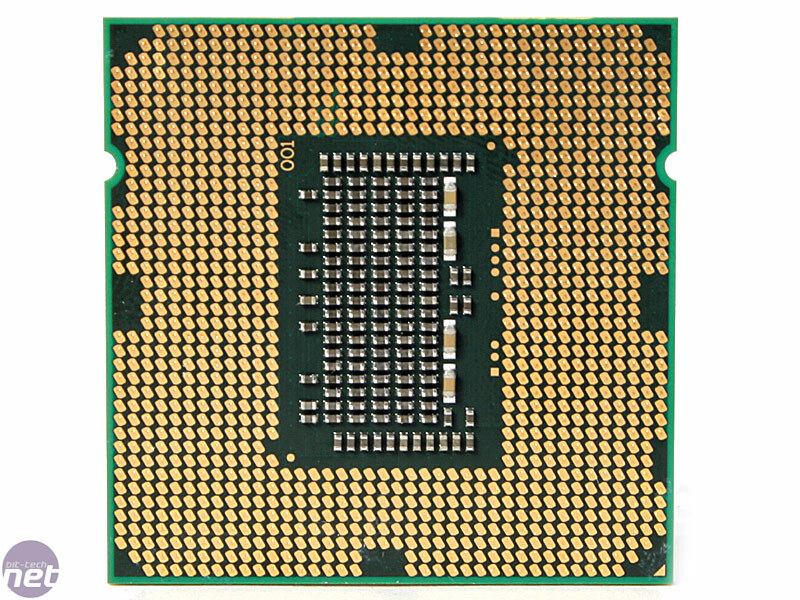 Core i5 CPUs are therefore (at the moment, at least) plain quad-core CPUs with one process thread per core. Just as with current LGA1366 Core i7 CPUs, the new Lynnfield Core i7 chips can process two threads per core. Naturally this means the i7 products can, under certain circumstances, churn through more data at any one time. However, as we found out in our Lynnfield review Hyper-Threading has its pros and cons. Unlike the LGA1366 Core i7 design and its triple-channel memory controller, the new Lynnfield CPU architecture accommodates merely a dual-channel memory controller. This means that you'll only need a two-stick memory kit rather than a three-stick one, which should reduce the overall system cost, or the cost of upgrade. Like the LGA1366 Core i7 memory controller, you can only use memory that has a default voltage of 1.65V at most. 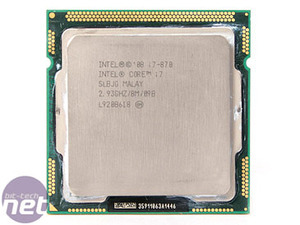 You can see what difference the dual-channel memory has in our Core i5 and Core i7 review. With a more simple memory controller, Lynnfield requires only 1,156 contacts with the CPU socket, hence the LGA1156 socket. This socket is incompatible with LGA775 and LGA1366, having a different pin arrangement and different cooler mounts to both. We believe this two naming approach is to help sell whole PCs a lot easier, where an LGA1156 system can cash in on the desirability of the Core i7 brand. However, the naming scheme means that upgraders need to be very careful when buying Core i7 kit - is it the LGA1156 Core i7 that you're buying a motherboard and memory for, or the LGA1366? Check those last three digits carefully. As we can see from the table, a Lynnfield CPU communicates with a motherboard via a DMI link, while an LGA1366 CPU communicates via a QPI link. The DMI link is the standard Intel inter-chip communication bus, and tells us that Lynnfield is the first CPU design to integrate everything that it needs to handle all the high-speed traffic hurtling around a motherboard. As well as an integrated memory controller, there's an integrated PCI Express controller. Integrating the PCI-E controller should mean that there's less latency between the graphics card(s) and CPU, but having tested this, we have to say that we didn't see any extra performance either in general use or when gaming. The PCI-E controller has 16 lanes of PCI-E 2.0 bandwidth to distribute, unlike the the 36 lanes of X58, but at least the controller is compatible with both SLI and CrossFire. More importantly though, with no Northbridge, motherboard designers can produce some very clean boards, especially at the CPU end. The MSI P55-GD65 is the best board we've seen yet for giving the CPU socket plenty of space so that you can use a large CPU cooler and a hot graphics card. 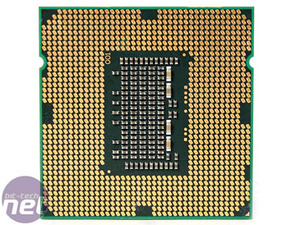 The chipset for Lynnfield is Intel's P55 Express, which is essentially a slightly improved ICH10R. However, the lack of any real chipset on LGA1156 could be a problem for other chipset makers - primarily we're thinking of Nvidia, as VIA, SiS and AMD are highly unlikely to make an LGA1156 chipset for various reasons. It's been ages since we saw an nForce for Intel chipset though (and even longer since we saw a good one) so the loss isn't too great. However, for the experienced tweaker - as we will explain later - certain things have got a little more locked down with LGA1156/P55.